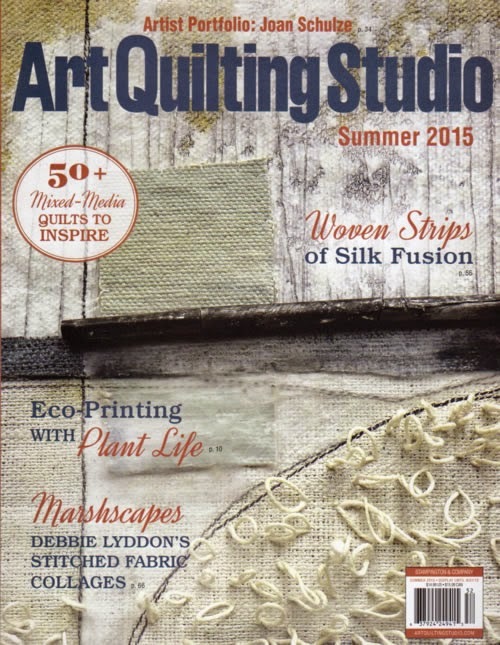 The latest issues of Sew Somerset and Art Quilting Studios have arrived at Craft Arena. These magazines are the most popular of those that we stock, and always sell out quickly. 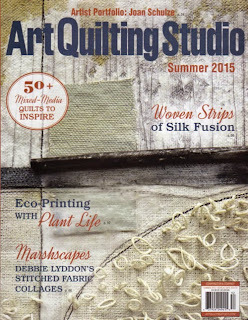 In Art Quilting Studio, Joan Schulze shares her amazing mixed-media quilts in the Artist Portfolio; the Series Showcase contains the artwork of cover artist Debbie Lyddon, whose stitched fabric collages were inspired by the Norfolk Broads and the Sussex coast; Kathy M. Forzley defies dimensions by turning art quilts into 3D bowls and Debbie Feist uses 'fusion' to turn silk into paper. Sew Somerset has Andrea Ockey Parr traveling the globe with her pieced tins; Carrie Payne uses canvas sheets with wood veneer tape and fabric embellishments, there is fabric collage with Wendy Goodbred Truax and textured collage with Erin Geagon. 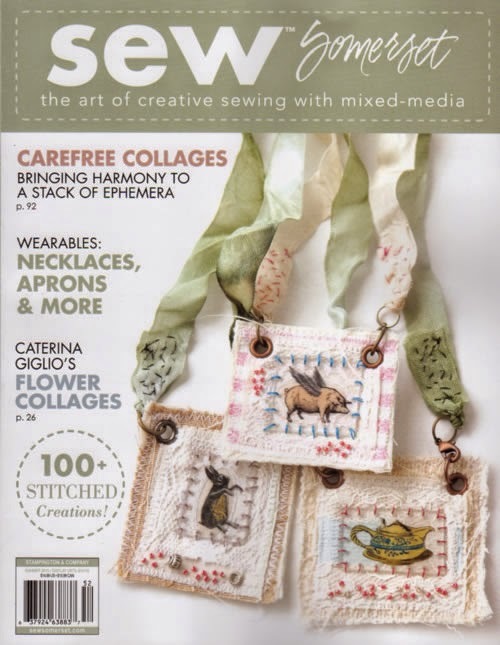 The featured work includes felt, ephemera, fabric and more - lots to inspire and delight!